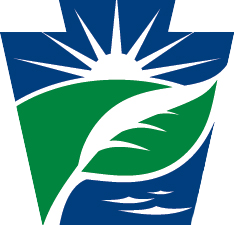 The mission of the Pennsylvania Department of Environmental Protection (DEP) is to protect Pennsylvania’s air, land and water from pollution and provide for the health and safety of its citizens through a cleaner environment. We work as partners with individuals, organizations, governments and businesses to prevent pollution and restore our natural resources. This annual report presents trends in Pennsylvania's oil and gas industry. For more detailed information, visit the DEP Oil and Gas Program website . To view the report, simply scroll down or use the top menu to jump to a topic. If content doesn’t display properly, please try opening the report using another web browser. Disclaimer: The information contained in this report is based on the data contained in DEP information systems at the time of the publication of this report, including, but not limited to, DEP's enterprise-wide permitting and compliance database called eFACTS (Environment Facility Application Compliance Tracking System). As some data contained in these systems are self-reported by operators and other permitees, data in this report reflects the data as reported to the department. IN PENNSYLVANIA, DEP IS RESPONSIBLE FOR REVIEWING PERMITS AND CONDUCTING INSPECTIONS AT OIL AND GAS WELL SITES, UNDERGROUND GAS STORAGE FACILITIES, PIPELINES AND COMPRESSOR STATIONS. THE PENNSYLVANIA PUBLIC UTILITY COMMISSION (PUC) AND THE U.S. DEPARTMENT OF TRANSPORTATION'S PIPELINE AND HAZARDOUS MATERIALS SAFETY ADMINISTRATION ALSO PLAY A VITAL ROLE IN THE INSPECTION OF NATURAL GAS GATHERING AND TRANSMISSION PIPELINES IN THE STATE. The DEP Office of Oil and Gas Management administers an internationally recognized oil and gas program that includes the Bureau of Oil and Gas Planning and Program Management and the Bureau of District Oil and Gas Operations. The Bureau of Oil and Gas Planning and Program Management is located in Harrisburg and is responsible for administrative, policy, technical assistance and regulatory development functions. 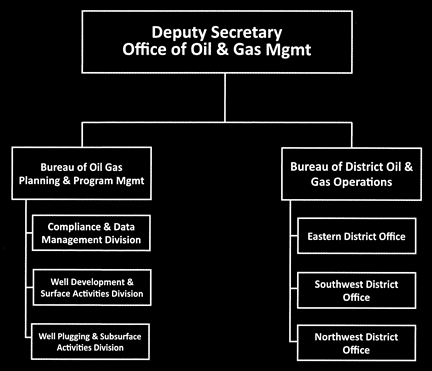 The Bureau of District Oil and Gas Operations consists of three district oil and gas offices and is responsible for permitting, inspection, compliance and enforcement functions. 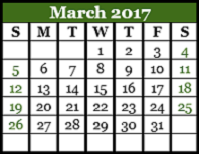 See the “2017 Calendar” to view a complete detailing of accomplishments by month. Erosion and Sedimentation Control General Permit – To construct a well site. Well Drilling Permit – To drill the well. Water Obstruction and Encroachment Permits – To build bridges and pipelines that cross waterways. 2,028 - Unconventional well drilling permits issued in 2017. 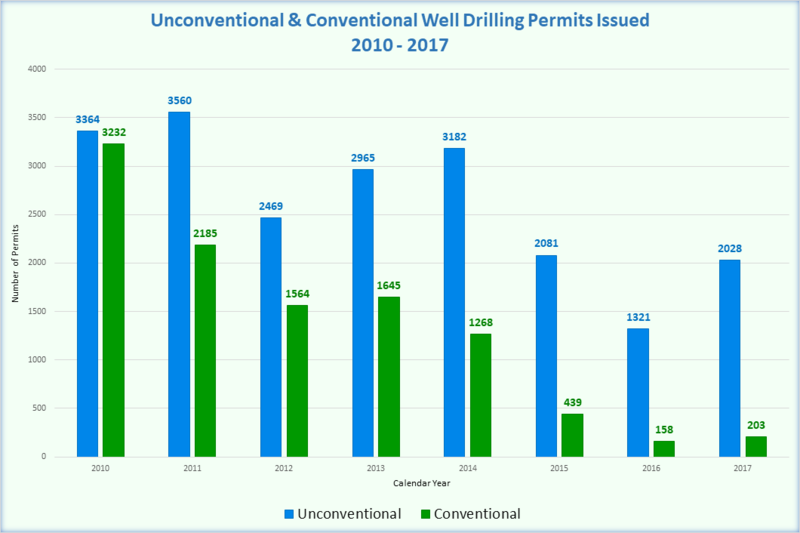 203 - Conventional well drilling permits issued in 2017. In 2017, DEP began developing a new ePermitting application to replace the old “eWell” system and streamline the permit process. The new ePermitting application is expected to be released in late 2018. DEP inspects oil and gas well sites to ensure they are constructed and operated in accordance with approved permits. DEP’s goal is to inspect new wells at the beginning, middle and end of construction and development. Inspections increased about 2 percent from 2016 to 2017, due in part to efficiencies gained from the development of electronic permitting capabilities. DEP has also increased emphasis on inspecting orphan and abandoned wells. 36,288 - Number of compliance inspections conducted in 2017. 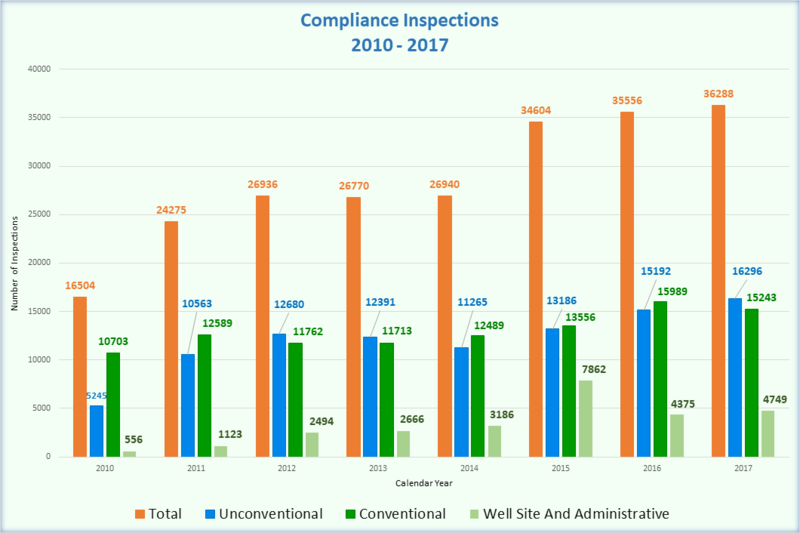 The number of compliance inspections has significantly increased from 2010 through 2017. In 2010, oil and gas inspectors conducted a total of 16,504 inspections and this number rose to 36,288 inspections in 2017; more than twice as many inspections. DEP is committed to working with oil and gas operators to ensure well sites operate in compliance with all applicable laws and regulations. DEP routinely provides compliance assistance through outreach and training opportunities. The total number of conventional well violations increased from 1,834 in 2016 to 3,273 in 2017. 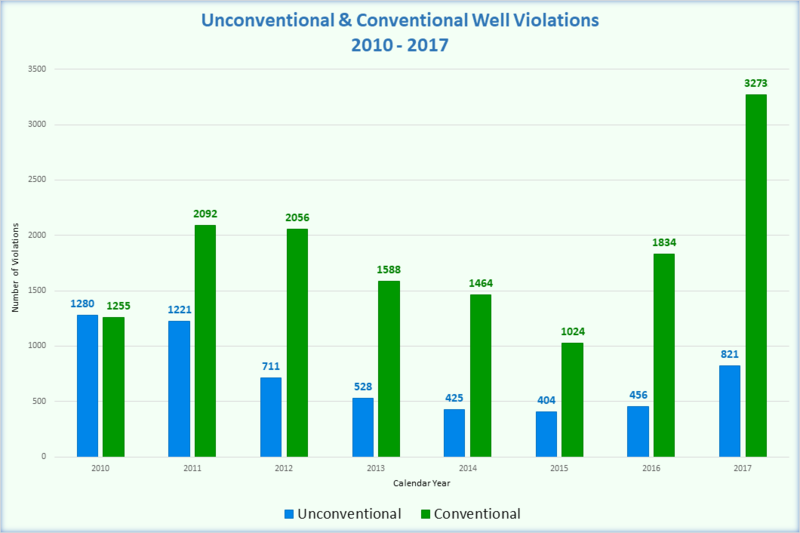 Unconventional well violations increased from 456 in 2016 to 821 in 2017. DEP’s compliance and enforcement tracking database (eFACTS) was updated in 2017 to record an ongoing violation that is not otherwise corrected prior to a subsequent inspection as a separate violation. 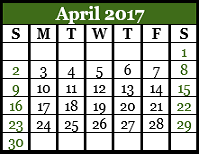 Therefore, DEP now has the ability to record multiple violations for the same incident if it is not corrected in a timely manner. To view all conventional and unconventional well violations from 2017, click here . Since 2010, DEP has collected about $35.5 million as a result of noncompliance at oil and gas sites in Pennsylvania. These fines and penalties are used to reimburse operating costs that are incurred by DEP in the oversight of oil and gas and related environmental programs. $3,540,777 - Total fines and penalties collected in 2017. 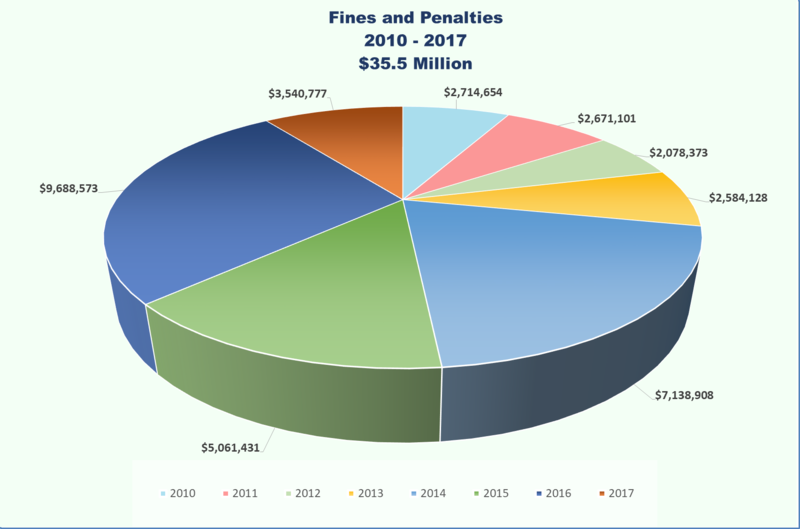 The fines and penalties collected in calendar years 2014 and 2016 are a result of significant violations observed at a relatively small number of enforcement actions. For example, in 2016, nine violations resulted in the levy of about $8.4 million of the $9.7 million collected that year. As a result of the oil and gas drilling booms during the mid-nineteenth and early twentieth centuries, hundreds of thousands of oil and gas wells were drilled in Pennsylvania. Over the past 150 years, many of these wells were abandoned by their owners without notifying DEP or other state agencies. DEP estimates that between 100,000 and 560,000 abandoned oil and gas wells exist in Pennsylvania that remain unaccounted for. These legacy orphan and abandoned wells can lead to pollution if they are not properly plugged. DEP has located 11,359*orphan and abandoned wells and is working diligently to identify the location of the many remaining wells. Unfortunately, given its current resources, it will likely take DEP many years to locate all of Pennsylvania’s legacy wells. One way the public and industry can help DEP to expand its inventory of known legacy wells is to report the location of such wells when they are discovered. If you come across a well on your property or when you are on other public lands that you believe is an orphan or abandoned well, please let DEP know. Contact a DEP District Oil and Gas representative at the telephone number listed in the below Fact Sheet. Click on the play button above to view the slideshow of abandoned oil and gas wells. DEP developed an initiative in 2017 to encourage private-sector partners to become Good Samaritans, by participating in a program that helps to plug dangerous abandoned oil and gas wells statewide. The program protects third-parties from liability for their role in helping to reduce the health, safety, and environmental hazards associated with the plugging of orphan and abandoned wells. The Environmental Good Samaritan Act of 1999 protects groups and individuals who volunteer to implement qualifying environmental remediation projects from civil and environmental liability. The Act does not provide immunity for injury or damage that may result from reckless, unlawful, or grossly negligent acts or omissions. volunteered to plug a well in Warren County that was discharging crude oil to the ground and nearby streams. volunteered to plug a leaking natural gas well in Elk County. These projects are estimated to have saved DEP $60,000 to $85,000, in addition to administrative cost savings related to contract development and management. Additional project proposals are currently under review and DEP welcomes other third parties to step forward to take advantage of the benefits of participating in the Good Samaritan Legacy Well Cleanup initiative. Not only will they enjoy reduced liability, but they may often develop the land at or near the well site more quickly than waiting for state funding to become available for the plugging project. DEP has developed online training to educate volunteers about the process of submitting a project proposal and applying for the liability protection under the Good Samaritan Legacy Well Cleanup initiative. For more information about this initiative and to obtain a “Project Proposal Application”, click here . Questions about well plugging through the Environmental Good Samaritan Act can be addressed to the DEP’s Bureau of Oil and Gas Planning and Program Management or the district office where the project is located . When no viable responsible party can be identified for an orphan or abandoned oil or gas well, the DEP Well Plugging Program has authority to address proper plugging of the well. Funding to address legacy wells comes from surcharges established by the 1984 Oil and Gas Act of $150 and $250, respectively, for each oil well permit and gas well permit. Because DEP has received a reduced number of permits in recent years, fewer funds are available to plug orphan and abandoned wells in Pennsylvania. Currently, more abandoned wells are being added to the state’s inventory than are being addressed through permanent plugging through state-issued contracts. Since 2015, DEP has been able to fund the plugging of oil and gas wells only in emergency situations and/or when residents must be temporarily evacuated from their homes due to imminent threats that legacy wells pose when well integrity is compromised. Legacy oil and gas wells are one of the most significant environmental challenges facing the commonwealth. By assessing historic operating costs and acknowledging the sheer number of wells, DEP estimates that addressing legacy wells will require $150 million to $3.7 billion. The low end of this estimate assumes that DEP will not identify any additional abandoned wells; the upper end of the estimate assumes about 200,000 legacy wells will eventually be identified and plugged. developing partnerships and implementing creative solutions. This work ultimately extended far beyond the DEP Office of Oil and Gas Management, and the effort exemplifies a collaborative assimilation and implementation of ideas and procedures that have saved or secured millions of dollars for the commonwealth, while introducing marked improvements in efficiency. The following table presents in-kind contributions and cost savings that have helped to leverage additional dollars to plug legacy wells in Pennsylvania. 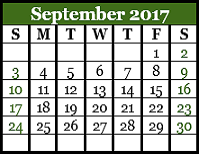 Click on a calendar month below to view detailed accomplishments. This section of the report provides the answers to many common questions related to oil and gas exploration and development in Pennsylvania. 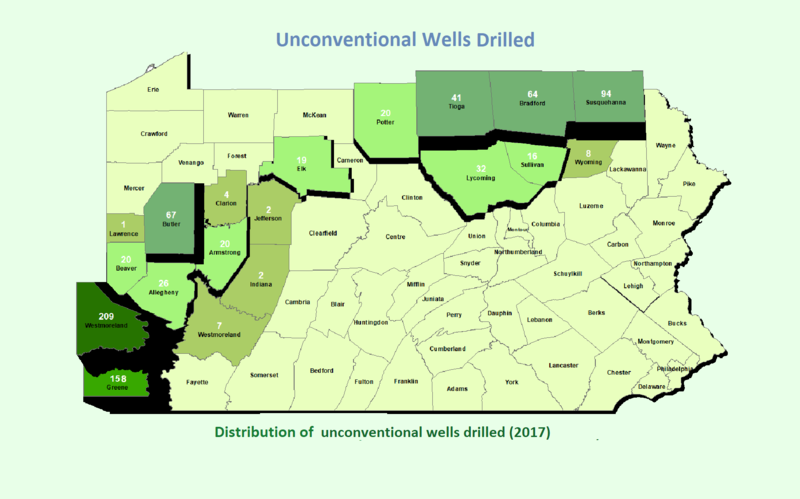 Check out the following maps, graphs, tables and video to learn more about Pennsylvania’s oil and gas reserves, conventional and unconventional wells, locations of oil and gas wells, and class II disposal wells. Where are Pennsylvania’s oil and natural gas reserves located? The nation’s first oil well was drilled in 1859 by Edwin Drake in Titusville, PA. Today, most oil in Pennsylvania is produced in the northwest corner of the state. This area is commonly called the oil patch since it is home to the largest number of active oil wells. In 2004, operators began producing natural gas from the Marcellus shale formation which extends from the southwest to northeast corners of the state. 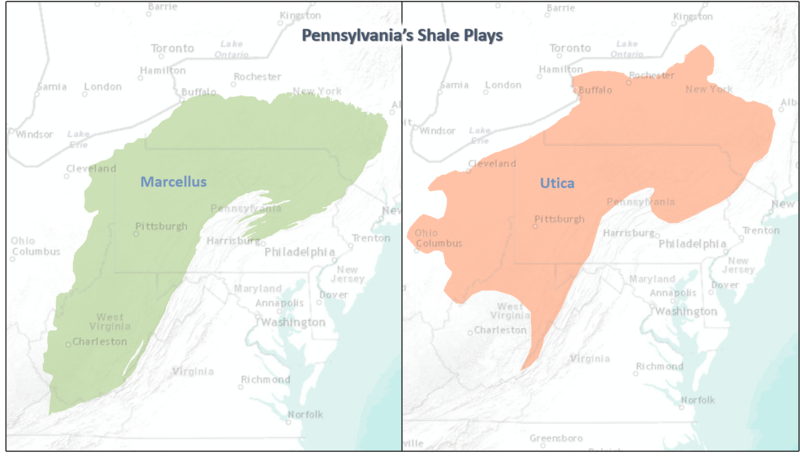 There are other shale formations in the state, such as the Utica shale formation, that contain substantial reserves of natural gas. Pennsylvania’s shale formations are expected to produce natural gas for many decades into the future. 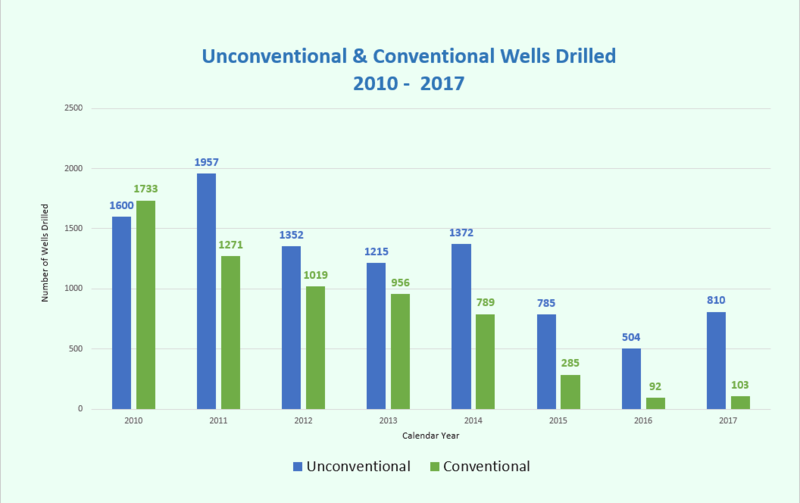 What is a Conventional vs. an Unconventional Well? A conventional well is typically a well that is drilled vertically into a shallow oil or gas reservoir. Conventional wells are constructed on much smaller well pad sites than unconventional wells. Most conventional wells do not require large volumes of water for hydraulic fracturing and do not employ horizontal drilling techniques. In Pennsylvania, what constitutes a conventional well is defined by law in Act 52 of 2016 and 25 Pa. Code Chapter 78. An unconventional well generally refers to a well that is drilled deep into shale formations to produce natural gas. A distinction of these wells is that they involve horizontal drilling techniques and use large volumes of water under high pressures to hydraulically fracture (commonly called “fracking”) the shale rock to access large volumes of natural gas. 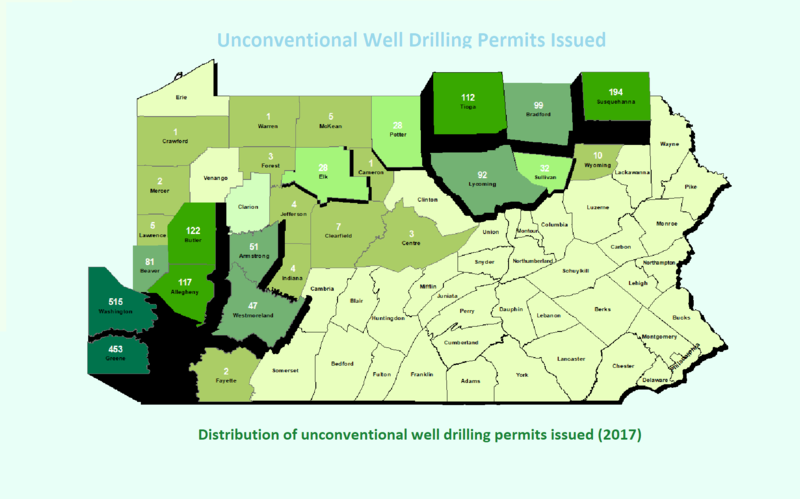 In Pennsylvania, what constitutes an unconventional well is defined by law in Section 3202 of the 2012 Oil and Gas Act and 25 Pa. Code Chapter 78a. 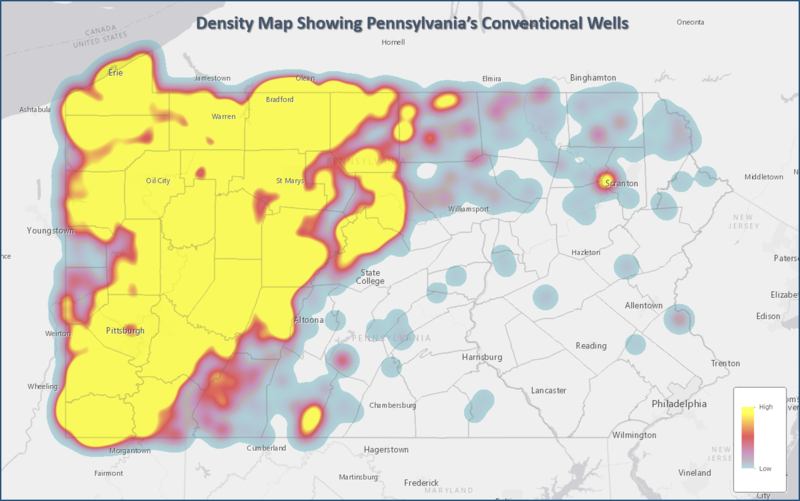 Where Are Oil and Gas Wells in Pennsylvania? Shown to the right are thumbnail images of the conventional, unconventional and Utica and Point Pleasant wells drilled by county. For a high-level view of where conventional oil and gas wells were drilled during calendar year 2017, click on any map to view a larger interactive version. Wells drilled in 2017 appear as "squares" and wells drilled prior to 2017 appear as "circles". The Utica/Point Pleasant map depicts only those wells drilled in 2017. DEP developed an interactive GIS mapping tool that can be used to identify oil and gas wells that are located in Pennsylvania. In addition to specific well locations, this tool provides other information including production data, inspection results and compliance actions taken by DEP, and more. To learn about this tool, check out the tutorial and begin using this interactive map today . To see the trend in the number of wells drilled from 2010 through 2017, click the button below the interactive maps. What is a Class II Underground Injection Control (UIC) Disposal Well? A Class II UIC disposal well is used to dispose of produced fluids (i.e., brine fluids) that flow back to the surface after a well is hydraulically fractured. In 2017, about 94 percent of all produced fluids was recycled and/or reused in the production/hydraulic fracturing of other natural gas wells and about 6 percent was disposed in Class II disposal wells. The U.S. Environmental Protection Agency is responsible for reviewing and approving Class II UIC well permit applications in Pennsylvania. However, DEP also conducts a review of these permit applications to ensure state regulatory requirements are met prior to issuing a permit for well usage. DEP’s permit review involves a review of the Control and Disposal Plan, Erosion and Sedimentation Control Plan, Casing and Cementing Plan, Geologic Analysis and Mechanical Integrity Analysis to ensure the well can accept the produced fluid at proposed rates and pressures. 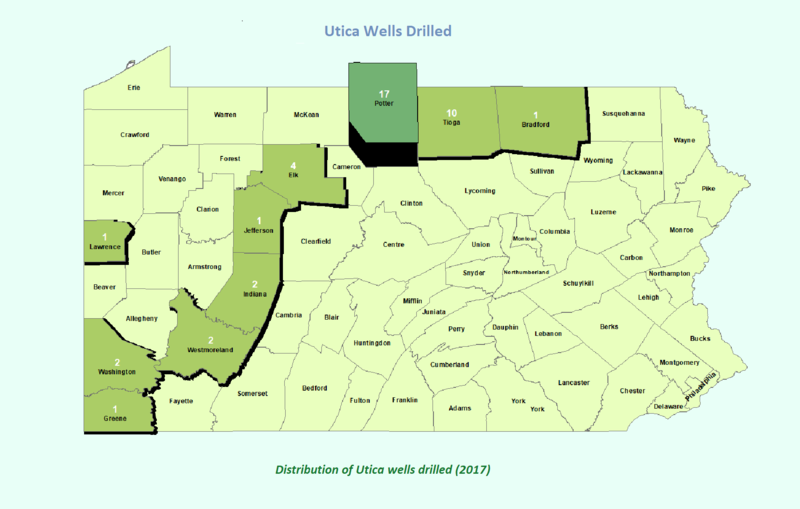 Where Are UIC Class II Disposal Wells in Pennsylvania? 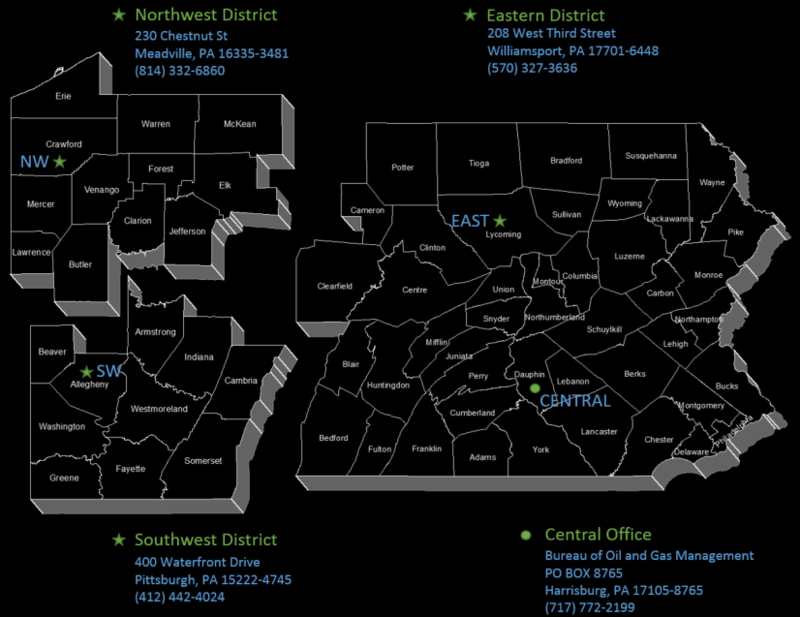 Currently, there are 12 active UIC Class II disposal wells located in Pennsylvania. The CNX Gas Co., LLC UIC Class II disposal well listed below is in the process of being permanently plugged. Neighboring states contain many more active UIC Class II disposal wells compared to Pennsylvania. For example, Ohio has more than 200 and West Virginia has more than 40 active UIC disposal wells, respectively. Most produced fluids from Pennsylvania that are disposed in UIC Class II disposal wells are transported to neighboring states. To view waste production reports by operator, county or waste facility click here . How Much Natural Gas is Produced in Pennsylvania? Although natural gas has been produced for many years using conventional drilling methods, it was not until 2004 that the first unconventional natural gas well was drilled in Pennsylvania’s Marcellus Shale play. It did not take long before natural gas operators began exploring and producing large amounts of natural gas from the Marcellus Shale play and other shale plays. The volume of natural gas recovered from Pennsylvania’s shale plays has steadily increased since the first natural gas well was drilled in Pennsylvania; and much more natural gas remains available for future exploration and development. In 2017, about 5.36 trillion cubic feet of natural gas was produced from unconventional gas wells in Pennsylvania. This represents the largest volume of natural gas on record that has been produced in Pennsylvania in a single year. Currently, Pennsylvania is the second largest producer of natural gas in the nation (Texas produces the most). To query production information related to natural gas, condensate, oil and waste for each permitted well, click here . Are there Natural Gas Storage Reservoirs in Pennsylvania? Natural gas is a commodity that is used in the residential, commercial, industrial and transportation sectors for activities such as space heating, water heating, combined heat and power, cooking, drying, and is a feedstock in the production of fertilizers and plastics. Since most natural gas is used as a fuel source to heat homes and businesses, the demand for natural gas peaks in winter months. In the summer, natural gas producers routinely store gas in geologic reservoirs for future use during the colder seasons of the year. Three types of natural gas reservoirs are most commonly used in the United States. First, historic natural gas reservoirs that were depleted of its natural gas supplies are the most common geologic features that are suitable to be put back into productive use as reservoirs to store natural gas from other active natural gas producing formations. Second, natural gas may be injected into a subsurface geologic formation to displace water from the pore space and this is called an “aquifer” reservoir. Finally, salt caverns that are created by flushing out salts from solid salt domes or formations are sometimes used as a natural gas storage feature. According to a study conducted by the American Petroleum Institute in June 2017, Pennsylvania has the fourth largest total capacity to store natural gas in geologic formations in the nation. In November 2017, the DEP Oil and Gas Program developed a statewide protocol for assessing and verifying the mechanical integrity of underground natural gas storage reservoirs in Pennsylvania. The protocol is used by Oil and Gas staff to ensure that natural gas storage reservoirs are operated in a safe and reliable manner to ensure the protection of Pennsylvania’s environment and the safety of its citizens. What Happens When a Well Stops Producing Oil or Gas? Eventually, active oil and gas wells stop producing oil and gas or become uneconomical to operate. When Pennsylvania’s Oil and Gas Act of 1984 was enacted, regulations were created to require the plugging of such wells. Although operators are required to post bonds with DEP to ensure that wells are properly plugged at the end of their useful life, this was not always the case. Legacy oil and gas wells are discussed in more detail in the section of this report called “Plug Legacy Wells”. DEP has spent over $34 million since 1989 to administer Pennsylvania’s orphan and abandoned oil and gas well program, but much work remains. DEP collects a small surcharge on each well drilling permit to plug unsafe orphan and abandoned wells and DEP’s Growing Greener grant program has funded more than $13 million toward well plugging projects over the history of the program. In 2016 DEP spent $1,029,166 to plug 23 wells and in 2017 DEP spent $1,093,598 to plug 7 wells. Given the estimated hundreds of thousands of orphan and abandoned oil and gas wells that may exist in Pennsylvania, there is not enough funding currently available to plug the remaining wells. Unless additional monies are identified for this purpose, the universe of orphan and abandoned wells will remain unplugged and will be a potential environmental and safety threat for many decades to come. Can I Review Forms and Reports that DEP Receives from Unconventional Oil and Gas Operators? Yes. Pennsylvania’s oil and gas regulations require unconventional operators to submit to DEP electronically various forms, requests and reports such as completion reports and well records. DEP developed a search tool called "eSubmissions" to allow the public to view the forms and reports that are submitted to DEP electronically. To view this search tool, go here . Can I Review Notifications that DEP Receives from Oil and Gas Operators? Yes. All oil and gas well operators are required to submit advanced notification to DEP electronically the date it starts to drill a well (aka, “spud date”). Additionally, operators of unconventional wells are required to electronically notify DEP in advance of conducting various operations such as casing and cementing a well, hydraulically fracturing a well and abandoning or plugging a well. To review the spud notifications report, go here . 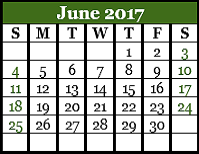 DEP’s Greenport application allows DEP to receive new notifications required by the promulgation of 25 Pa. Code Chapter 78a. To view the "eNotifications" report, go here . Where Can I Access Online Reports? DEP has developed many useful interactive reports to enable the public to quickly search DEP’s databases. The reports include the ability to view oil and gas permits that have been issued, locations of wells that are drilled, locations of orphan and abandoned wells and natural gas production reports to name a few. Visit DEP’s website to access these reports. A companion “Interactive Reports Data Dictionary” is also available at this website that describes in more detail the types of interactive reports that are available. DEP ENCOURAGES THE PUBLIC TO PARTICIPATE AND LEARN MORE ABOUT OUR NATURAL ENVIRONMENT AND TO BECOME ACTIVELY INVOLVED IN SHAPING PENNSYLVANIA'S ENVIRONMENTAL REGULATIONS AND POLICIES. THE FOLLOWING PAGES OF THIS REPORT PROVIDE SPECIFIC TOOLS YOU CAN USE TO PARTICIPATE IN MEETINGS OF THE OIL AND GAS TECHNICAL ADVISORY BOARD, SUBSCRIBE TO DEP'S BIWEEKLY NEWSLETTER, RECEIVE NOTICES OF ENVIRONMENTAL MATTERS AND PROVIDE WRITTEN COMMENTS ON REGULATIONS AND POLICIES. The public may attend regular meetings of the Oil and Gas Technical Advisory Board (TAB) and Pennsylvania Grade Crude Development Advisory Council (CDAC). These meetings routinely involve discussions about proposed oil and gas regulations, policies and other related topics. Generally, CDAC focuses on issues that pertain solely to the conventional oil and gas industry and TAB examines issues that pertain mainly to the unconventional industry, but sometimes considers issues related to the conventional industry. 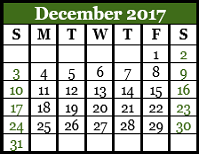 To view meeting dates and locations for CDAC, go to the Department of Community and Economic Development's (DCED) webpage . To attend a TAB meeting via WebEx, go here . DEP’s Office of Oil and Gas Management periodically offers stakeholders and the public opportunities to participate in Webinars regarding other general oil and gas topics. To view prior webinars, here . DEP encourages the public to provide constructive comments about regulations, policies, technical guidance, general permits, and other proposals that are under development. To access the full text of such documents, submit comments, and see comments from other individuals, please visit the DEP website here . DEP developed an electronic notification system for the public to use to stay up-to-date with many types of environmental topics. This tool is called eNOTICE and you may register to receive free notifications of important actions the department takes. It’s easy. Go here to register to receive notices that are important to you! DEP publishes a biweekly newsletter that features information about hot topics, recent department actions, regulatory updates, webinars and upcoming events. To subscribe to this free newsletter, click here . DEP is committed to the protection of environmental resources including private water supplies. The Oil and Gas Act of 2012 (Act) contains language that holds oil and gas operators responsible for restoring or replacing water supplies when it is determined that oil and gas activities are the cause of contamination. The Act goes a step further and presumes that an oil and gas operator is responsible for contamination of water supplies located within prescribed distances and timeframes; unless the operator can clearly demonstrate that it is not responsible for the contamination. Although there is no evidence that hydraulic fracturing has resulted in a direct impact to a water supply in Pennsylvania, there are cases where related oil and gas activities have adversely affected private water supplies. DEP investigates all stray gas-related complaints and if it is determined that a water supply is adversely affected by oil and gas activities, DEP works with the responsible operator to ensure the water supply is restored or replaced. To report any cases of suspected water contamination that may be associated with the development of oil and gas resources or any other environmental complaint, call DEP’s statewide environmental hotline at 1-866-255-5158. To report an environmental emergency to DEP, click on the button below, and call the appropriate regional emergency contact number. The Erosion and Sediment Control General Permit for Oil and Gas Operations (ESCGP-2) will expire on December 29, 2018. DEP is developing a new Erosion and Sediment Control General Permit for Oil and Gas Operations (ESCGP-3) that will include elements of the ESCGP-2 permit while being streamlined and reorganized to improve the efficiency and effectiveness of the current permit review process. Ultimately, the ESCGP-3 permit will be available to operators via DEP’s electronic permitting system. In addition, DEP is considering implementation of a priority review for ESCGP-3 permit applications when the project will result in superior environmental outcomes. Developing the criteria to be considered as part of the priority permit review process related to environmentally superior outcomes. DEP will publish the ESCGP-3 permit and associated documents in the Pennsylvania Bulletin with a 30-day comment period. Based on those comments, a final set of ESCGP-3 documents will be developed, including a Comment and Response document. The target date for the availability of the ESCGP-3 is late 2018. DEP plans to phase in the ESCGP-3 to transition from use of the current ESCGP-2 permit. Governor Tom Wolf announced a four-point methane emission reduction strategy in 2016 for unconventional natural gas operations in Pennsylvania. This strategy includes the development of a general permit (GP-5A) for new unconventional well pad operations and modifications to the existing general permit (GP-5) for compressors and natural gas processing facilities. DEP Air Quality Program staff presented on the draft-final General Permits 5 and 5A and Exemption 38 at the December 14, 2017, Air Quality Technical Advisory Committee (AQTAC); the January 16, 2018, Citizens Advisory Council; and the February 14, 2018, Oil and Gas Technical Advisory Board meeting. The general permits, Exemption 38, and the corresponding Comment and Response and Technical Support Documents will be finalized in summer 2018. At the December 14 AQTAC meeting, DEP also presented concepts for a proposed rulemaking to implement EPA’s 2016 Control Technique Guidelines for the oil and gas industry. The guidelines provide information to state, local, and tribal air agencies to assist them in determining reasonably available control technology (RACT) requirements for volatile organic compound emissions from oil and natural gas industry emission sources. 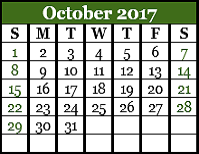 EPA established a deadline of two years from the date of issuance of the final guidelines to submit the State Implementation Plan revision, which will be due to EPA on or before October 27, 2018. EPA now believes it is prudent to withdraw the Control Technique Guidelines based on the belief that it is more efficient for states not to be required to revise their State Implementation Plans to comply with the 2012 Standards and then again after EPA reconsiders the 2016 Standards. On February 16, 2018, the White House Office of Management and Budget finished its review of EPA’s proposed withdrawal notice for the Control Technique Guidelines. On March 9, EPA published its proposed withdrawal for public comment. On April 23, DEP submitted comments on the guidelines withdrawal stating the agency does not support a comprehensive withdrawal of the guidelines without providing a specific replacement proposal to control emissions. Pursuant to 25 Pa. Code Sections 78.19(e) (conventional oil and gas wells) and 78a.19(b) (unconventional gas wells), at least every 3 years, DEP will provide the Environmental Quality Board (EQB) with an evaluation of the well permit application fees received. In accordance with these regulatory requirements, DEP conducted a comprehensive review of its administration of the 2012 Oil and Gas Act along with projected revenues to administer the Act. The 3-Year Regulatory Fee and Program Cost Analysis Report summarizes that review and analysis. Although DEP’s inspection and program administration responsibilities related to administering the 2012 Oil and Gas Act have increased, the number of well permit applications submitted to DEP does not generate sufficient revenue to cover the costs of administering the 2012 Oil and Gas Act. The well permit fee paid with the permit application at the beginning of a well’s operating life is a one-time source of revenue that is used to fund continuing obligations. A well typically remains active for decades before being plugged, during which time the cost for DEP to administer the 2012 Oil and Gas Act is borne by the receipt of new drilling permit application fees. While in prior years, DEP received enough oil and gas drilling permit fees to meet its basic financial needs, current permit volumes are insufficient to maintain the Oil and Gas Program into the future. When the unconventional well permit fee was amended in June 2014, DEP projected that a $5,000 flat fee for each unconventional permit application would be adequate to support the full complement of 226 Oil and Gas Program staff, provided DEP received 2,600 unconventional well permits annually (along with $6 million in impact fees). While that projection was accurate during the pendency of the previous rulemaking, the number of oil and gas permits received in FY2015-16 and FY2016-17 was significantly lower than anticipated. 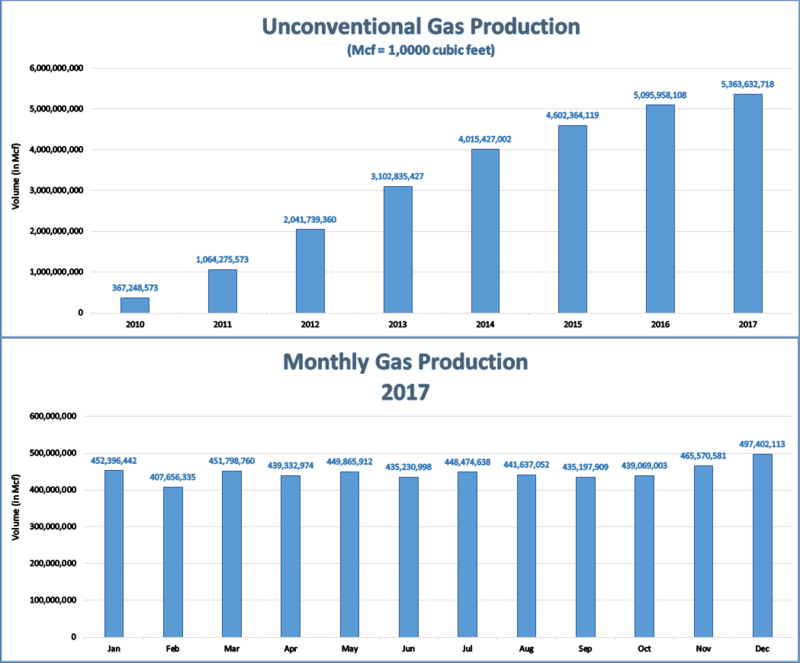 Although the number of unconventional natural gas permits has fallen off dramatically, the volume of natural gas produced by unconventional operators has continued to steadily rise. Given the low number of permit applications received over the past two fiscal years and indications that permit volumes are not expected to rebound in the near term, the current well permit fee is no longer sufficient to fund the Oil and Gas Program; even with substantial cost-saving measures that have been implemented. While revenues are declining, DEP’s responsibility to inspect and monitor existing wells continues to increase as the inventory of active oil and gas wells grows in addition to other workload requirements and policy initiatives. Despite reductions in staff and operating expenditures, the Office of Oil and Gas Management will soon reach a funding deficit at current well permit fee levels. The fund that supports DEP oil and gas operations is expected to reach a negative balance by the first quarter of FY 2019-20, given current expense and revenue projections. On May 16, 2018, the Office of Oil and Gas Management presented the proposed Unconventional Well Permit Application Fee rulemaking to the Environmental Quality Board (EQB). The proposed rulemaking increases the current well permit application fees from $5,000 for a nonvertical unconventional well and $4,200 for a vertical unconventional well, to $12,500 for all unconventional well permit applications to administer the 2012 Oil and Gas Act. The permit fees for conventional permits remain unchanged. The Office of Oil and Gas Management consulted with the Oil and Gas Technical Advisory Board (TAB) in the development of this proposed rulemaking. DEP presented the 3-Year Fee Report and discussed its proposal to raise the unconventional well permit application fee to $12,500 at TAB’s February 14, 2018 meeting. T he 3-Year Fee Report was also presented to the EQB on April 17, 2018. The EQB took action to adopt the proposed rulemaking with two opposing votes. The proposed rulemaking will be published in the Pennsylvania Bulletin with a 30-day public comment period. Technical staff in the Office of Oil and Gas Management are responsible for reviewing and approving permit applications that pertain to surface and sub-surface activities at oil and gas well sites. This includes the Erosion and Sedimentation Control General Permit, Well Drilling Permit, and other necessary permits. Historically, permitting functions related to surface and sub-surface operating permits have been managed at the three district oil and gas offices in Williamsport, Meadville and Pittsburgh. To enhance the consistency of permit reviews and permitting efficiencies, the Office of Oil and Gas Management will be restructured to align the management of the district permitting into two functional areas: surface permits and sub-surface permits. Technical permit reviewers will remain in each of the district offices, but this streamlined management structure will promote improved communication that will result in greater consistency and efficiencies in the permit review process. We hope you found this annual report to be informative and useful. This past year was another busy one for DEP, but there is more to be done. DEP and the Office of Oil and Gas Management look forward to continue serving the citizens of Pennsylvania in 2018 through the work that we do to carry out the mission of the Department! 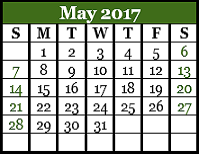 NOTE: Unless otherwise specified, all information is reported for calendar year 2017. Please visit other DEP Oil and Gas related websites. Use the share button at the top to share this report with others, and click on the buttons below to follow the latest PA DEP activities. Of the 3,273 violations for conventional wells, 1,470 were administrative-related violations and 1,803 were environmental health and safety-related violations. Of the 1,470 administrative violations, 454 of these violations were signage-related violations for “failure to post the operators name, contact information, permit number and registration number at the well site”, 516 violations were for “failure to submit an annual production report”, and 391 violations were for “failure to conduct quarterly well integrity inspections or submit an annual report to DEP identifying the compliance status of each well with the mechanical integrity requirements.” The remaining administrative-related violations were distributed among 20 additional violation categories. Of the 1,803 environmental health and safety-related violations, 745 of these violations were for “failure to plug the well upon abandoning it”, 145 violations were for “failure to properly store, transport, process or dispose of a residual waste”, 134 were for “failure to control well drilling fluids…in a manner to prevent pollution of waters of the Commonwealth”, 146 were for “failure to collect brine and drilling fluids in an approved tank or for discharge onto the ground or into the waters of the commonwealth.” The remaining environmental health and safety-related violations were distributed among 63 additional violation categories. Of the 821 violations at unconventional wells, 67 were administrative-related violations and 754 were environmental health and safety-related violations. Of the 754 environmental health and safety-related violations 65 were for “failure to properly store, transport, process or dispose of a residual waste”, 56 were for “conducting an activity…without a permit or contrary to a permit issued by DEP”, 56 were for “failure to prevent gas flow in the well annulus…”, 49 were for “failure to plug a well upon abandoning it”, 42 were for “conducting casing and cementing activities that failed to prevent pollution or diminution of fresh groundwater”. The remaining violations were distributed among 66 other violation categories. Of the 67 administrative violations, 23 were for “failure to comply with the terms of a permit while drilling, altering or operating an oil or gas well.” The remaining violations were distributed among 20 violation categories. Equipment Fire at Unconventional Well Site, Somerset Township, Washington County: On January 1, a fire erupted at an unconventional well site. The Southwest District Oil and Gas Office dispatched an inspector and supervisor to the scene. The initial investigation indicated that a pump used in the hydraulic fracturing process failed, resulting in a piece of the engine disrupting the fuel system. The fire was brought under control, and no injuries occurred as a result of this incident. Review of Eligibility Standards for Expedited Review of Erosion and Sediment Control General Permits (ESCGP-2): On January 4, DEP issued a press release announcing the planned revision of the eligibility standards for expedited review of ESCGP-2 applications related to oil and gas drilling. ESCGP-2 applications are for earth disturbance of more than five acres for oil and gas projects. Under the general permit, projects that meet objective criteria are eligible for a 14-day permit review. The revisions follow an internal review that analyzed the program’s consistency and effectiveness from its launch in February 2014 through January 2016. The review revealed that the expedited process has limited application because almost 60 percent of the permit applications submitted to DEP had technical deficiencies. The review can be found here. Legacy Well Integrity and Emissions Study Update: The Well Plugging and Subsurface Activities Division of the Oil and Gas Program started evaluating data collected as part of DEP’s legacy well field study. The study was designed to assess DEP’s plugging liability and explore opportunities to advance the program’s mission. It is anticipated that the results of this study will make it possible to better quantify the department’s plugging liability, allow DEP to explore different funding models to address the state's legacy well problem, and inform regulatory program activities considerate of environmental risk. Oil and Gas Technical Advisory Board – Coal/Gas Industry-Agency Committee Meeting: On January 11, DEP’s Office of Oil and Gas Management met with DEP’s mining program, federal Mine Safety and Health Administration technical staff, and coal and gas industry representatives as part of the Oil and Gas Technical Advisory Board’s Coal/Gas Committee to discuss matters relating to coordination between the two industries. The meeting entailed the first detailed discussion of the coal pillar permit process since the committee was formed in March 2016. Inter-Agency Coordination with DCNR - Seismic Monitoring Protocol: The Oil and Gas Program met with Department of Conservation and Natural Resources (DCNR) staff and a representative of the Pennsylvania Seismic Network on February 6 to discuss development of Standard Operating Procedures related to seismic responses for Underground Injection Control wells and Utica Shale gas well development in the commonwealth. Inter-Agency Coordination with DCNR – Chapter 78, Subchapter C Implementation: DEP oil and gas staff met with DCNR staff, on February 7, to discuss implementation matters relating to the Area of Review (AOR) provisions of 25 Pa. Code Chapter 78a. 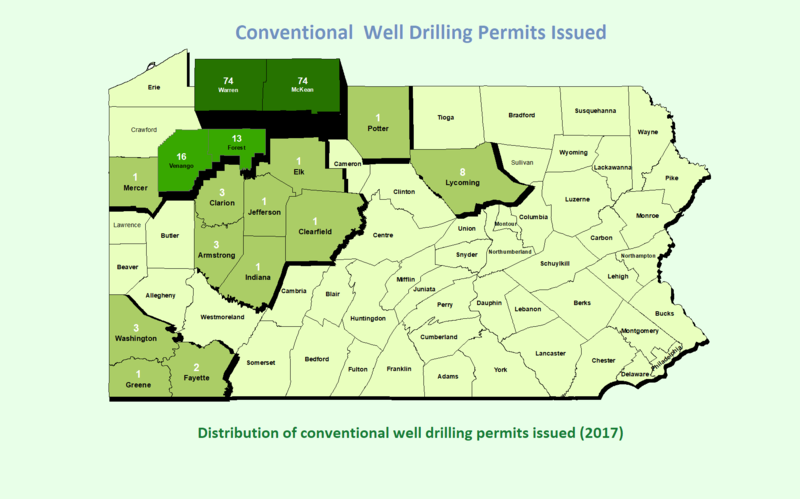 As one of the largest land managers in the state, DCNR receives landowner questionnaires as per Pa. Code § 78a.52a(b)(3) from unconventional operators intending to drill wells on state-held lands. DEP provided a training session on the landowner questionnaire process and reviewed a hydraulic fracturing communication risk model. Oil and Gas Technical Advisory Board – Coal/Gas Industry-Agency Committee Meeting: On February 14, the Office of Oil and Gas Management met with the DEP Mining Program, U.S. Mine Safety and Health Administration technical staff and coal and gas industry representatives as part of the Oil and Gas Technical Advisory Board’s Coal/Gas Committee to discuss matters relating to coordination between the two industries. The group reviewed an updated process map detailing matters relating to coal pillar permitting and inactivation/temporary abandonment of gas wells in advance of mining. Release of Report on Induced Seismicity DEP Lawrence County Report: On February 17, DEP conducted a media webinar and released findings relating to a series of low-magnitude earthquakes detected on April 25, 2016, in North Beaver, Union, and Mahoning Townships. The earthquakes, which were near 2 on the Richter Scale, are classified as microseismic events - likely to go unnoticed by humans and typically only recorded by sensitive seismic monitors. An unconventional gas operator was in the process of stimulating Utica Shale wells using a technique known as “zipper fracturing,” or hydraulic fracturing operations that are carried out concurrently at two parallel and adjacent horizontal wellbores. DEP conducted an analysis and published the results of its findings on the day of the webinar. DEP investigators found a marked temporal/spatial relationship to hydraulic fracturing activities at the operator’s well pad and concluded the seismic events were likely related to the natural gas hydraulic fracturing by the operator. As a result, DEP developed recommendations to mitigate risks associated with induced seismicity that have been adopted by the operator and will appear as permit conditions in future drilling permits issued in the Utica Shale region of the state. The Office of Oil and Gas Management announced plans to develop a rulemaking to address induced seismicity for Utica Shale development as an “area of alternative methods” in accordance with 25 Pa. Code § 78a.75a to develop area-specific rules in parts of the state where conditions warrant. Public Oil and Gas eSubmission Viewer: The Office of Oil and Gas Management released an application to enable the public to view electronic submissions made by operators through the eSubmission application. This application is accessible on the “Oil and Gas Reports” web page, under the heading “Interactive Applications” and can be viewed at this link. Users can search for submissions based on various criteria, including but not limited to: submission type, submitter (operator), county, municipality, and date range. Currently, all eSubmission types, except pre-drill data, are available via this tool. Trade Secret/Confidential Proprietary Information (CPI) Chemical Code List: The Office of Oil and Gas Management released a list of chemical codes that relate to trade secret/CPI that are registered with DEP. This report does not contain any trade secret/CPI information; rather it lists a unique code that is assigned to the chemical which is on file at DEP. The list includes the name of the organization that registered the chemical/code, its eFACTS client ID number, and the code assigned to each respective chemical. The list is available on the “Oil and Gas Reports” web page, under the heading “Non-Interactive Reports” and can be viewed here. The list will be updated as additional submissions are received. Well Bore Deviation Workgroup: On March 15, the Office of Oil and Gas Management completed a preliminary discussion about the development of a joint DEP/oil and gas industry workgroup to better understand well bore deviations from the well bore path depicted in the well permit. This issue arose when an unconventional gas operator voluntarily disclosed that wells it had acquired were drilled with varying degrees of deviations compared to what was authorized on the well permit. The workgroup plans to address the frequency of well bore deviation and how operators may report information to DEP relating to the “as drilled” location of well bores in a manner that lends itself to digital mapping. Emergency Well Plugging Response: An abandoned gas well located in a mobile home park in Canton Township, Washington County, was found to be leaking natural gas and required DEP to enter into an emergency contract to plug the well. DEP emergency response and oil and gas program staff responded to the situation and conducted continuous monitoring. Residents within 100 feet of the well were evacuated before the response commenced. The well was successfully plugged and the site was restored on March 17. Allegheny County Legacy Wells Story Map: DEP oil and gas staff met with members of other state agencies, federal government colleagues, private sector consultants, and representatives from academia at the Geological Society of America Northeastern/North-Central Joint Section Meeting on March 20. DEP unveiled a “story map” depicting historical oil and gas development in Allegheny County. This web-based tool depicts aerial imagery for Allegheny County overlying a historical oil and gas legacy development map. Users can access the tool to explore historical oil and gas development activity in the area. Known locations of conventional and unconventional wells from the DEP database and historic wells digitized from mine maps are also depicted. The goal of this project is to make the public aware of the extensive oil and gas development that occurred in Allegheny county and educate interested individuals about potential environmental issues associated with legacy wells. DEP estimates that somewhere between $150 million and $3.7 billion is needed to address this environmental challenge. DEP’s Legacy Well Integrity and Emissions Study and the story map represent a significant step that DEP has taken to inform the public and scientific community; and to educate the public about legacy oil and gas development in Pennsylvania. Tri-State Well Plugging Summit: Oil and Gas Program staff met with regulatory officials from Ohio and West Virginia and plugging contractors to discuss matters relating to legacy well management. The meeting was coordinated by the DEP Well Plugging and Subsurface Activities Division on March 30. Meeting participants discussed neighboring state’s plugging programs, regulations, staff/structure, funding, contracting processes, and costs. Meeting topics also included alternative funding sources, studies, improving visibility, and showcasing some of Pennsylvania’s regulatory and statutory provisions related to legacy wells, including Area of Review, Good Samaritan Law, and the well adoption permit process. Pennsylvania Seismic Network Training: The Office of Oil and Gas Management met with DCNR and representatives of the Pennsylvania Seismic Network on March 28. Both agencies received training on seismic analysis, including details on the Pennsylvania Seismic Network, location detection of earthquakes, how to differentiate mine blasting events and/or false readings from tectonic seismic events. Oil and Gas Technical Advisory Board – Coal/Gas Industry-Agency Committee Meeting: On March 23, the Office of Oil and Gas Management met with DEP’s mining program, U.S. Mine Safety and Health Administration technical staff, and coal and gas industry representatives as part of the Oil and Gas TAB’s Coal/Gas Committee to discuss matters relating to coordination between the two industries. The committee focused on procedural matters regarding the safe “mining through” of wells by coal mine operators. The primary objective of the committee is to memorialize a written policy that is acceptable to all affected agencies. Underground Injection Control Permit Issued: On March 27, DEP issued an injection disposal permit to Seneca Resources. 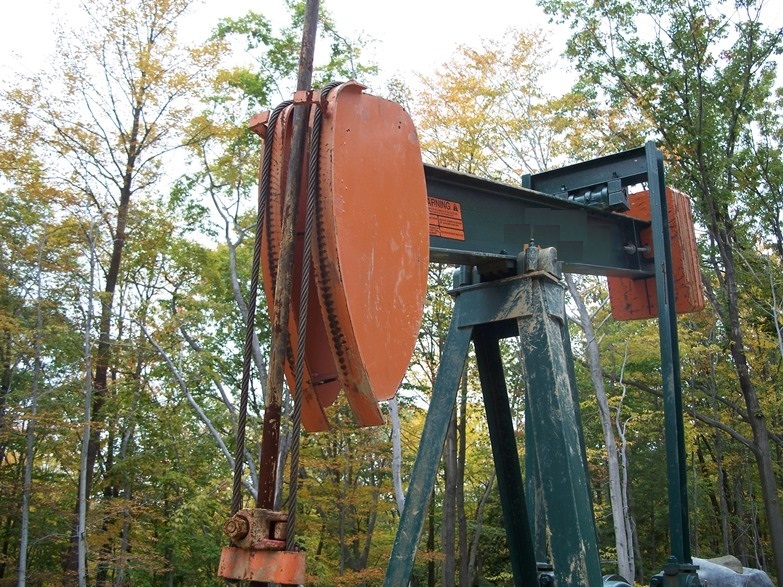 The disposal well located in Highland Township, Elk County will be used to inject fluids produced solely from Seneca Resources’ oil and gas production activities. The U.S. Environmental Protection Agency issued a Class II disposal underground injection control permit for this activity on January 28, 2014. Oil and Gas Technical Advisory Board: At a regularly scheduled meeting on April 13, TAB discussed the draft “Pressure Barrier Technical Guidance for Unconventional Operations,” “Guidelines for the Development and Implementation of Oil and Gas Well Site Integrated Contingency Plans for Unconventional Well Sites,” “Area of Review Technical Guidance Document,” and “Water Supply Technical Guidance Document.” The board also discussed the General Permit-5, a report from a member of the “Coal-Gas Coordination Workgroup,” and a discussion about the formation of various technical workgroups. A recording of this meeting is available on the DEP website. Mobile Inspection Platform Development: DEP’s Mobile Inspection Platform Team met with GIS developers on April 3 to discuss future enhancements to the inspection/investigation process for specialists and inspectors in DEP’s oil and gas program. The group agreed to start development of a smaller, pilot project for GIS enhancements. The Mobile Inspection Platform Team has predominantly focused on the development/rollout of the surface and subsurface inspection applications through coordination with PennDOT’s IT experts. For future integration that will enhance DEP’s mobile capabilities, the team discussed tools such as the complaint tracking system, sample information system, mechanical integrity assessment, storage field data, and other components. eWell, Online Oil and Gas Well Permitting Application: On April 18, as part of a commonwealth-wide project being managed by the Office of Administration, DEP’s eWell permit application was transitioned to a new online payment processing gateway. The new “Payeezy” gateway allows well permit applicants to pay by electronic check, in addition to the existing credit card payment option. Well Plugging Response Action: DEP’s oil and gas program successfully completed oversight of the permanent plugging of an abandoned well located in Glen Osborne Borough, Allegheny County. The well situated adjacent to Glen Mitchell Road on a steep hillside, was observed to be leaking oil to the surrounding soil. Due to landslide concerns identified at the well site, an engineering consultant was contracted to provide geotechnical support and expertise. Citizen’s Advisory Council Meeting Presentation: On April 18, Office of Oil and Gas Management staff updated the council on the investigation surrounding the induced seismic events that occurred in Lawrence County. DEP also discussed modifications to the Underground Injection Control program permitting process that is aimed at mitigating induced seismicity and ensuring containment of the injection zone and the injection well. Oil and Gas Technical Advisory Board – Coal/Gas Industry-Agency Committee Meeting: On April 19, the Office of Oil and Gas Management met with the DEP mining program, U.S. Mine Safety and Health Administration technical staff, and coal and gas industry representatives to discuss matters relating to coordination between the two industries. DEP staff clarified the agency’s role in reviewing permits aimed at safely taking active natural gas wells out of production in advance of mining operations. Committee members also discussed technical matters relating to development mining and mine floor stability analysis. Outreach to Oil and Gas GreenPort Users: GreenPort users were informed that DEP developed an “Oil and Gas Operator Email Registration” form. This form is intended to allow an operator to provide an Email address that will enable DEP to deliver electronically generated records and communications to the operator. Initially, this will include inspection reports generated using DEP’s inspection mobile app and general notifications/updates. Eventually, this may include additional records and/or communications as DEP develops additional electronic data management systems. Also, oil and gas operators may submit well logs to DEP in an electronic format through the eSubmission application rather than mailing them. Although operators may still submit well logs in paper format, this tool allows operators to submit well log information in a more efficient and timely manner. Well Logs have been added to the list of values under “Select Type of Submission”. With the exception of confidential and proprietary information, any records submitted via eSubmission are available to the public. Legacy Well Study, Interactive Mapping Tool, and Plugging Program Video: On May 9, the Office of Oil and Gas Management worked with the DEP Office of Communications to release several new technical and public outreach media tools. This event was part of a larger effort to inform stakeholders about the full scope of the environmental and public safety challenges posed by legacy oil and gas development in Pennsylvania. The tools include the Legacy Well Integrity and Emissions Study , an interactive mapping application that reveals patterns of historical drilling in portions of Allegheny County, and a DEP YouTube Channel video discussing some of the challenges DEP faces with the management of the commonwealth’s growing legacy well population. eSubmission Application Enhancements: The Office of Oil and Gas Management worked with the DEP Bureau of Information Technology to develop enhancements to the eSubmission application. Operators now have the option to submit a select number of forms and requests associated with conventional well operations using the eSubmission applications. The eSubmission User Guide was also updated to reflect these enhancements and provides step-by-step instructions on how operators can use this tool. This user guide is located at the Oil and Gas Electronic Submission Guides webpage . Pennsylvania Groundwater Symposium: Oil and Gas Program staff met with members of other state agencies, oil and gas operators, industry consultants, industry trade organization representatives, and academia at the Pennsylvania Groundwater Symposium on May 3 for the educational event hosted by the Pennsylvania State College of Agricultural Sciences. The symposium content focused on groundwater and shale gas drilling, as well as groundwater monitoring and aquifer studies. The symposium included approximately 150 participants and included presentations and poster sessions on topics including groundwater monitoring, groundwater law and policy, baseline groundwater quality, methane monitoring in groundwater and existing groundwater database usage. Interstate Oil and Gas Compact Commission (IOGCC) - State Oil and Gas Field Inspector Forum: On May 7, the Office of Oil and Gas Management participated in the commission’s annual meeting along with representatives from 27 other oil and gas producing states. The purpose of this forum was to facilitate timely discussions and the sharing of information between members of the nation’s oil and gas producing states. This meeting provided a platform for inspection and compliance experts to share current issues from their state perspective and to discuss significant challenges that field inspectors face. Over 40 topics were discussed in five categories: General Well Inspection, Mechanical Integrity Testing, Waste Disposal, Public Relations and Reclamation. Crude Development Advisory Council Produced Water and Legacy Well Committee Meeting: The Oil and Gas Program met with council members and other stakeholders on May 4 to conduct committee work involving issues relating to produced water and legacy well management. Attendees reviewed current regulatory provisions relating to discharges to waters of the commonwealth, innovative brine treatment strategies, treatment costs, statewide produced water trends for conventional wells, and the current state of Pennsylvania’s Underground Injection Control Program. The council discussed ongoing research relating to plugging materials and legacy well-finding efforts, statewide production trends, abandoned well plugging activities and costs, and funding associated with the DEP Well Plugging Program. The group also reviewed provisions of the Good Samaritan Law and DCED’s Commonwealth Financing Authority’s Orphan and Abandoned Well Plugging Program. DEP Oil and Gas Manager’s Meeting: On May 16-17, Oil and Gas Program managers and legal counsel met to discuss operational and legal issues associated with the management of the DEP Office of Oil and Gas Management. 2017 Shale Network Workshop: DEP Oil and Gas Program staff met with researchers, volunteer groups, and industry affiliates May 18 - 19 during the annual Shale Network Workshop. DEP staff, in collaboration with the Shale Network team and the Consortium of Universities for the Advancement of Hydrologic Science, Inc. (CUAHSI), led a classroom computer exercise where participants used a web-based database tool (compiled and managed by CUAHSI) to review stream impairments potentially resulting from the treatment of produced fluid at publicly operated treatment works, seismic event data compiled by the Pennsylvania Seismic Network and how the PA Oil and Gas Mapping tool can be used to identify areas where potential underground injection control wells could be sited. DEP presented a poster identifying the challenges related to the management of Pennsylvania’s legacy wells. DEP oil and gas staff also participated in a panel discussion with industry representatives and concerned citizens regarding the development of underground injection control well. Other presenters at the Shale Network Workshop discussed a variety of waste management topics, developments in the mitigation of risks associated with induced seismicity, stray gas migration and atmospheric methane flux, technologically enhanced naturally occurring radioactive material, and the regulatory framework related to blasting operations. Oil and Gas Technical Advisory Board – Coal/Gas Industry-Agency Committee Meeting: On May 24, the Office of Oil and Gas Management met with the DEP mining Program, U.S. Mine Safety and Health Administration technical staff, and coal and gas industry representatives to discuss matters relating to coordination between the two industries. An important milestone was reached in terms of assembling the pertinent data relevant for DEP to evaluate the issuance of a “Conditional” Coal Pillar Permit. The data submitted was partitioned into three components: Conditional Coal Pillar Permit, Inactive Status and Re-entry with long term monitoring. These data will be technically reviewed and utilized in the development of a first draft technical guidance document. DEP Approves Permit for Underground Injection Control Well in Clearfield County: On May 30, DEP approved an underground injection control Class II well permit for disposal of wastewater associated with oil and natural gas production. The disposal well is operated by Sammy-Mar, LLC, in Huston Township. The U.S Environmental Protection Agency issued an underground injection control permit for this well on March 16, 2016, to allow the company to inject wastewater into the well pending DEP approval of a drilling permit. Air and Waste Management Association - Annual Conference and Exhibition: On June 7, the DEP Southwest Oil and Gas District Manager participated in a panel discussion focused on regional oil and gas issues and the pending Air Quality General Permit for well sites, the new regulatory requirements resulting from the Chapter 78a rulemaking, and general discussion about the growth and environmental issues/impacts observed in southwestern Pennsylvania. 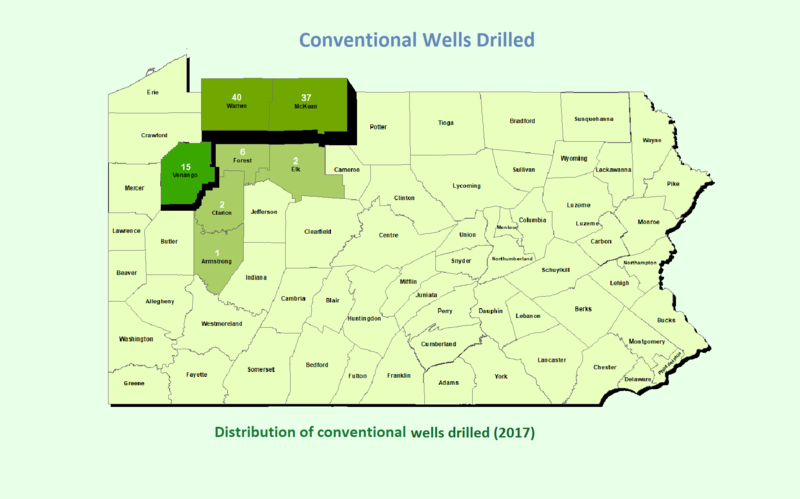 Technical Presentation at Marcellus Shale Coalition Stray Gas Committee Meeting: On June 7, the program manager for the Well Plugging and Subsurface Activities Division gave a technical presentation to the Marcellus Shale Coalition Stray Gas Committee. The presentation included a summary of statistics on stray gas migration cases relating to unconventional oil and gas development, DEP research on stray gas migration, GIS tool development and a technical case study covering the analysis of time-series methane data and geologic controls on methane migration and the latest research being executed by academia. Post Construction Stormwater Management Training: The Bureau of Clean Water and DEP Southeast Regional Office, and Bureau of Waterways Engineering and Wetlands staff provided post construction stormwater management training on June 14 - 15. The primary audience included DEP’s oil and gas permitting staff who are responsible for review and issuance of Erosion and Sediment Control General Permits for oil and gas activities (i.e., ESCGP-2). The training goal was to improve consistency among district oil and gas offices and increase overall program efficiency related to stormwater permitting. DEP and Pennsylvania Emergency Management Agency (PEMA) update to Emergency Response Plan Submissions: The Office of Oil and Gas Management, with assistance from PEMA, completed a year-long initiative to allow for greater transparency, efficiency and accessibility to unconventional well site Emergency Response Plans (ERPs). Pennsylvania’s oil and gas regulations require unconventional operators to submit ERPs to DEP, PEMA, County Emergency Management Agencies, and the Public Safety Answering Point (PSAP) with jurisdiction over the well site. It also provides DEP with authority to implement the requirements of ERPs in coordination with PEMA. The DEP Oil and Gas Reporting Electronic (OGRE) system was enhanced in 2014 to allow unconventional operators to submit ERPs to DEP electronically. The ERPs are now available on the public Oil and Gas Mapping tool. To further streamline the overall ERP submittal process and to comply with 25 Pa. Code Chapter 78a, a submission through OGRE is now also considered to be a submission to PEMA, County Emergency Management Agencies and PSAP. 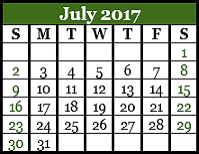 On June 22, 2017, an email notification for this process improvement was sent to all OGRE registered users who submit ERPs to DEP. In addition, DEP notified oil and gas industry stakeholders of this enhancement. Emergency Contract - Stay Gas Mitigation System Installation: On June 26, the DEP Southwest Oil and Gas District Office oversaw the successful installation of a stray gas mitigation system in Franklin Park Borough, Allegheny County. The site is a residential property and the location was discovered by DEP during the process of conducting a legacy well study. The system that was installed successfully captured and vented stray subsurface methane gas, thus stabilizing the site and mitigating the risk to public safety. The Bureau of Oil and Gas Planning and Program Management coordinated with the DEP Office of External Affairs to inform oil and gas industry trade groups about the availability of these new forms. DEP also forwarded a notice to oil and gas operators that are registered users of DEP’s Greenport system. Good Samaritan Plugging Project Proposal Site Visit: On July 7, Office of Oil and Gas Management staff met with representatives from the U.S. Forest Service and a conventional oil and gas operator to visit the site of a leaking oil well in the Allegheny National Forest, Warren County. The operator submitted a Good Samaritan Proposal to plug the oil well using its equipment and resources to address ongoing environmental impacts. Access to the densely forested, remote site was limited, and the location of the leaking well on a small island at the confluence of two exceptional-value streams further complicated action. This was the first Good Samaritan project aimed at plugging an abandoned well. Emergency Well Plugging Contract: The DEP Southwest District Oil and Gas Office oversaw the successful permanent plugging of an abandoned gas well at a residential property in Pittsburgh. The stray gas was discovered in March by a natural gas supplier while performing a routine leak survey in the neighborhood. The gas was emanating from a crack in the concrete porch floor located against the foundation of the residence, which posed significant challenges during the well plugging process. The plugging project was completed successfully on July 10. Oil and Gas Technical Advisory Board – Coal/Gas Industry-Agency Committee Meeting: On July 12, the Office of Oil and Gas Management met with the DEP Mining Program, U.S. Mine Safety and Health Administration technical staff, and coal and gas industry representatives to discuss matters relating to coordination between the two industries. A significant milestone was achieved with the development of a draft technical guidance document intended to direct coordination activities between both industries in situations where a longwall mining company intends to mine around unconventional gas wells. DEP Approves Permit for Underground Injection Control (UIC) Class II Disposal Well in Columbus Township, Warren County: On August 3, the DEP Northwest District Oil and Gas Office issued a UIC Class II disposal well permit to Bear Lakes Enterprises. This well served as a former gas production well targeting Grimsby and Whirlpool Sandstones within the Medina Group and will be used to inject fluids related to oil and gas production activities. EPA issued a UIC Class II disposal well permit for this activity on November 10, 2014. This is the third disposal well issued to Bear Lakes in Columbus Township. DEP Responds to Natural Gas Leak: On August 4, the DEP Southwest District Oil and Gas Office was notified of a leaking natural gas production pipeline. While conducting excavation work in South Huntingdon Township, Westmoreland County, a local logging company accidentally struck a natural gas line, causing a leak. The line that was struck was a 2-inch low pressure gathering line that fed an 8-inch main line. Upon notification, DEP informed the Pennsylvania Emergency Management Agency and dispatched an inspector to the site. The logging crew was evacuated from this site during the site evaluation and response. The owner of the pipeline shut in the affected well, which stopped gas flow. As a precautionary measure, the company also shut in several other wells in the general vicinity. The operator repaired the gas line and placed it back into service within 24 hours. EPA Bioremediation Webinar/Workshop: The Oil and Gas Program, the U.S. Forest Service and industry partners hosted a technical webinar/workshop on August 3 relating to the application of bioremediation of crude oil releases in the context of well plugging and well site cleanup activities. EPA Region 3 presented to DEP District Oil and Gas Operations staff and operators from throughout the state, providing information on various bioremediation projects conducted using the Oil Spill Liability Trust Fund. Multiple case studies in Pennsylvania were discussed during the session, and topics included the fundamentals of bioremediation, mechanisms that have proven most successful for addressing oil releases and sampling procedures for evaluating the effectiveness of this remediation strategy. This effort is part of a broader partnership between the Crude Development Advisory Council legacy well subcommittee and oil and gas staff. Emergency Well Plugging and Clean-up Response: DEP Northwest District oil and gas staff completed the successful oversight of an emergency contract developed to permanently plug a well, complete site restoration and clean up a crude oil release at a site in Conneaut Township, Crawford County, and remove production fluids from a leaking tank at a well site in Canal Township, Venango County. DEP coordinated effectively with the prospective contractors to quickly prepare and execute a contract. 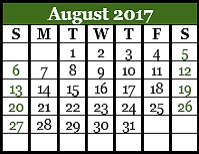 Activities at the Venango County site were completed on August 2, and activities at the Crawford County site were completed by August 9. Oil and Gas Technical Advisory Board Meeting: At a regularly scheduled meeting on August 23, the board discussed suggested amendments to the current TAB bylaws, an update related to the development of various technical guidance documents and forms, an update on the draft GP5/GP5A permits, and a verbal report from the Coal-Gas Coordination Workgroup liaison. The Director of the DEP Bureau of Radiation Protection provided an update of the status of the Chapter 230 proposed rulemaking package. DCNR and DEP Coordination of Legacy Well Management on State-Held Lands: On August 14, staff from the Bureau of Oil and Gas Planning and Program Management met with DEP’s Emergency Response Director, Eastern District Oil and Gas Operations staff, DCNR, and an official from EPA Region 3 to discuss developments relating to the Oil Spill Liability Trust Fund and progress related to a well plugging project being planned within Sproul State Forest in Keating Township, Clinton County. This is an abandoned well leaking oil along Cooks Run. Due to the timing and access road challenges, it is anticipated that plugging activities will commence in mid-2018. The operation is expected to take about one month. Partnership such as this are critical at a time when DEP’s orphan and abandoned well plugging funds are limited. Oil and Gas Technical Advisory Board – Coal/Gas Industry-Agency Committee Meeting: On August 16, the Office of Oil and Gas Management met with the DEP Mining Program, U.S. Mine Safety and Health Administration technical staff, and coal and gas industry representatives to discuss matters relating to coordination between the two industries. Committee members reviewed comments related to the first draft of the technical guidance document intended to direct coordination activities between both industries in situations where a longwall mining company intends to mine around unconventional gas wells. The committee discussed how coordination should occur across state borders and included input from an environmental regulator from West Virginia. Crude Development Advisory Council Produced Water and Legacy Well Committee Meetings: DEP Oil and Gas Program staff met with council members and other stakeholders on August 31 to continue committee work to explore issues relating to produced water and legacy well management. Attendees reviewed the current orphan and abandoned well database and its associated scoring system, ongoing research associated with the identification of the total number of legacy wells in Pennsylvania, and potential incentives for operators to plug legacy wells. Also, a discussion took place related to the ongoing TAB Coal-Gas Industry-Agency Committee work and how the guidance being developed would apply to conventional well operators. Next, attendees discussed ongoing research relating to current regulatory provisions pertaining to discharges to waters of the commonwealth, innovative brine treatment strategies, treatment costs, and statewide produced water trends for conventional wells. There was also a presentation regarding new reservoir treatment techniques designed to enhance production using acoustic methods. These methods may reduce the amount of produced water associated with water flood wells that are currently used to mobilize and recover hydrocarbons within conventional oil operations. Subsurface Mobile Inspection Application Updates: The DEP Office of Oil and Gas Management partnered with PennDOT and DEP Information Technology staff to develop the inspection Mobile App. The Subsurface Activities Inspection Report component of the project is responsible for the development of five different types of inspection forms (routine, drilling/alteration, stimulation, plugging, and storage wells). As of September 12, several inspection types were in production, while others were undergoing pilot testing to solicit feedback to troubleshoot technical hurdles. To optimize use of the mobile inspection platform, training events were held on September 6 and 7 in Williamsport and Knox, respectively. Another training event was held on September 14 in New Stanton. The training events were useful in reviewing functionality of the subsurface inspection application and educating DEP oil and gas inspectors and their supervisors in a consistent manner on a statewide basis. The training also allowed an opportunity for DEP inspection staff to provide helpful feedback on the inspection forms. Oil and Gas Technical Advisory Board – Coal/Gas Industry-Agency Committee Meeting: On September 13, the Office of Oil and Gas Management met with the DEP Mining Program, U.S. Mine Safety and Health Administration technical staff, and coal and gas industry representatives to discuss matters relating to coordination between the two industries. A sub-committee discussed technical issues relating to long-term pillar/mine floor stability and the development of mine monitoring plans. The full committee collectively reviewed a draft version of the technical guidance document that was under development. Future action was to include a 45-day public comment period with an anticipated completion date of the document to be the first quarter of 2018. DEP staff worked with Crude Development Advisory Council members to better define how the guidance will interface with conventional oil and gas operations. Oil and Gas Safety Standard Operating Procedure Training: On September 25 - 26, staff from the Bureau of Oil and Gas Planning and Program Management provided training to district oil and gas staff, supervisors and management on a new Safety Standard Operating Procedure titled “Health and Safety Program for the Office of Oil and Gas Management.” The four-hour training included an overview of DEP’s safety policies and program-specific safety policies. Staff learned about the PA Worker and Community Right-to-Know Act. The course also covered the use of personal protective equipment and the standards that must be met. The training was offered in the California, Cambria, Meadville and Williamsport offices to provide ample opportunities for staff to attend. Underground Injection Control (UIC) Well Industry Stakeholder Teleconference: On September 20, DEP staff participated in a teleconference regarding the current state of UIC well development in Pennsylvania. Participants discussed DEP’s permitting process and timeframes, seismic monitoring and mitigation, opportunities for regulation and technical guidance development, possible program efficiencies that could be gained through DEP-EPA coordination, public meeting improvements, and education/outreach initiatives. Pennsylvania Geologic Mapping Advisory Committee: On September 27, the DEP Office of Oil and Gas Management participated in the Pennsylvania Geologic Mapping Advisory Committee (GMAC) meeting at the Pennsylvania Bureau of Topographic and Geologic Survey office in Middletown, Dauphin County. GMAC membership consists of representatives from academia, federal, state and local government agencies, regional associations and consulting industries. The purpose was to seek the benefits of collaboration and work experience to identify geologic mapping priorities for the state of Pennsylvania and the federal STATEMAP program. The GMAC advisors provided updates on current mapping projects throughout the state. Included in this update was mapping of the Catskill Formation in portions of Susquehanna County that was completed during the summer of 2017. This project will help provide a better understanding of depositional, burial and structural geologic episodes, as well as the hydrogeology of the Catskill Formation. Also discussed were future mapping projects, which include mapping of the Broad Top Area in central Pennsylvania. This project will provide comprehensive geologic analyses of Bituminous Coal Seams and other regional geologic structures. Oil and Gas Technical Advisory Board – Coal/Gas Industry-Agency Committee Meeting: On October 12, the DEP Office of Oil and Gas Management met with the DEP Mining Program, U.S. Mine Safety and Health Administration technical staff, and coal and gas industry representatives to discuss matters relating to coordination between the two industries. Committee members reviewed the most recent changes to the draft technical guidance document and the process for publishing the document as interim final in early December 2017. The remainder of the meeting was dedicated to developing future topics for discussion: (1) regulatory and technical processes for drilling in active longwall mining districts after panel extraction; (2) regulatory and technical processes for converting historical plugged wells to gob vent boreholes; (3) developing guidance on plugging wells in anticipation of mine-through activities; and (4) improving procedures for archiving information on previously uncharted legacy wells that are inadvertently mined through. Pennsylvania Independent Oil and Gas Association of Pennsylvania: On October 24, the DEP Oil and Gas Program staff met with association members to discuss a variety of technical and policy-related matters and review ways to improve communication between operators and DEP staff. The group considered ways to better define the future utility of assets when operators are applying for inactive status. In certain cases, wells on inactive status may eventually become a plugging liability to the commonwealth. Additionally, discussion explored the definition of attainable bottom of abandoned wells and the interpretation of this plugging concept in situations when a well cannot be successfully cleaned out to total depth. Commonwealth Financing Authority, Marcellus Legacy Fund Grants: On November 14 the Department of Community and Economic Development (DCED) Commonwealth Financing Authority (CFA) announced grant recipients for the 2017 Marcellus Legacy Fund grant program established under the Oil and Gas Act of 2012. One of the grant programs, the Orphan and Abandoned Well Plugging (OAWP) program, targets projects inclusive of well plugging or venting, and the installation of gas migration mitigation systems. Over the past two years, the DEP Office of Oil and Gas Management has taken steps to enhance its grant review process, provide significant outreach relating to the CFA OAWP program, and work directly with DCED and grant applicants to ensure that the application packages submitted are high quality and meet all the criteria demanded by CFA reviewers. A total of $657,503 in grant funding was awarded for three projects in the northwest and southwest regions of the state. Recipients include Venango County Conservation District, Clarion County Conservation District, and Richland Township, Allegheny County. The total grants awarded represent over half of the grant applications submitted in 2017 and eclipse the $495,000 awarded for all prior grant years dating to 2013. The projects are in Oil Creek State Park, the Farmington area of Clarion County, and Richland Township and will address 20 wells characterized by various concerning issues including significant wellbore subsidence, ongoing stray gas migration, leaking wells close to occupied residential structures, and a legacy well occupying the footprint of an ongoing senior citizen community development project. The CFA OAWP program represents a critical source of funding for well plugging projects at a time when DEP well plugging funds are limited. Since 2015, the DEP the Plugging Program has been unable to develop any projects aside from emergency contracts. 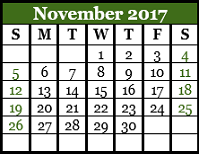 Oil and Gas Technical Advisory Board – Coal/Gas Industry-Agency Committee Meeting: On November 9, the Office of Oil and Gas Management met with the DEP Mining Program, U.S. Mine Safety and Health Administration technical staff, and coal and gas industry representatives to discuss matters relating to coordination between the two industries. The first item of business was to brief the committee on the approval of the Technical Guidance Document (TGD) relating to mining around existing gas well clusters located in longwall chain pillars by TAB. Future plans include publishing the TGD in the Pennsylvania Bulletin as an interim-final document. Participants also discussed the possibility of developing a process for safely drilling unconventional gas wells in a sealed gob area of an active coal mine. Oil and gas industry committee members provided a presentation explaining typical unconventional well drilling, casing and cementing methods used in southwest Pennsylvania. Crude Development Advisory Council Meeting: The Office of Oil and Gas Management met with the council on November 16 in Harrisburg to update members on committee work. Presentations were provided by the Legacy Well, Produced Water, and Economic Committees. DEP staff unveiled the results of a new GIS analysis aimed at grouping orphan and abandoned wells into a series of projects that identify costs along with surrounding natural and public resources that can be protected from potential legacy well impacts by initiating plugging projects proactively. The project profiles are important for communicating information with key stakeholders who may be interested in funding well plugging projects for a variety of reasons. Erosion and Sediment Control General Permit Industry Training: On December 13, the Bureau of Oil and Gas Planning and Program Management and the Eastern Oil and Gas District Office conducted an industry training session near Pittsburgh. The Office of Oil and Gas Management provided training and updates on the transition from Erosion and Sediment Pollution Control General Permit-2 (ESCGP-2) to ESCGP-3 that will occur in 2018. DEP staff provided suggestions for improving permit submissions by discussing frequent permit application deficiencies as well as the need for applicants to provide more information in permit applications. In 2017, DEP developed an initiative to encourage private-sector partners to become “Good Samaritans”, by participating in a program that helps to plug dangerous abandoned oil and gas wells statewide. The program protects third-parties from liability for their role in helping to reduce the health, safety, and environmental hazards associated with the plugging of orphan and abandoned wells. The Environmental Good Samaritan Act of 1999 (Act) protects groups and individuals who volunteer to implement qualifying environmental remediation projects from civil and environmental liability. The Act doesn’t provide immunity for injury or damage that may result from reckless, unlawful, or grossly negligent acts or omissions. Additional project proposals are currently under review and DEP welcomes other third parties to step forward to take advantage of the benefits of participating in the Good Samaritan Legacy Well Cleanup initiative. Volunteers enjoy reduced liability, and can often develop the land at or near the well site much more quickly than waiting for state funding to become available to complete the project. Questions about well plugging through the Environmental Good Samaritan Act can be addressed by contacting DEP’s Bureau of Oil and Gas Planning and Program Management or the district office where the project is located. Cameron Energy Company partnered with DEP and the U.S. Forest Service (Allegheny National Forest) to use its equipment and resources to address ongoing environmental impacts. Access to the densely forested, remote site was limited, and the location of the leaking well on a small island at the confluence of two exceptional-value streams further complicated the response action. Although the company did not own the well, it took steps to proactively assist with the remediation of this well site. Chemtrade Logistics, a global chemical company with a plant in Johnsonburg, planned to implement facility renovations and submitted an application to plug an abandoned well that was leaking natural gas adjacent to an above ground storage tank containing sulfuric acid. Evidence of failed well integrity raised concerns about the potential that natural gas could migrate from the well into enclosed spaces or other occupied structures. Company officials secured the services of a qualified contractor to complete this well plugging operation. Using the new departmentwide electronic permitting system, DEP began developing two new e-permits for oil and gas operations in 2017. One will replace the existing “eWell” online well permit application, and the other will replace the Erosion and Sediment Control General Permit paper form and instructions used for non-transmission projects which are reviewed by the Bureau of District Oil and Gas Operations. The new e-permits will bring an end to the need for operators to duplicate data entry and provide prompt feedback on permit completion, enabling faster application review and response. The new e-permits are expected to launch in fall 2018, with outreach to operators by the Office of Oil and Gas Management. DEP launched a mobile app to enable inspectors to conduct electronic inspections at oil and gas sites using tablet computers, replacing a paper-based process. Customizing PennDOT technology, DEP developed the app for inspections of all surface and subsurface activities, including erosion and sedimentation control, waterways encroachment, waste management, well construction, operation, plugging and spill cleanup activities. With increased efficiency resulting from elimination of duplicate data entry, the number of oil and gas inspections is expected to increase. Because the app improves data quality and enables photographic documentation, accuracy increased also. The public has access to inspection results sooner, since results are automatically saved to DEP’s permitting and compliance database (eFACTS) and are posted on the Oil and Gas mapping website within days, rather than weeks. The e-inspection mobile app supports the Governor’s Office of Transformation, Innovation, Management and Efficiency (GO-TIME) initiative, which works with state agencies to modernize government operations to reduce costs and improve services. The app earned a GO-TIME award and recognition from the National Association of State Chief Information Officers. Click on the play button above to view the DEP GO-TIME - Taking Oil and Gas Drilling SIte Inspections to a New Level of Productivity. DEP streamlined the approval process for the use of modular aboveground storage structures when the Environmental Quality Board promulgated 25 Pa. Code Chapter 78a56 as part of the Final “Environmental Performance Standards at Oil and Gas Well Sites” published in the Pennsylvania Bulletin on October 8, 2016. This regulation allows the use of modular aboveground storage structures at unconventional well sites to temporarily contain regulated substances upon prior DEP approval and notice before installation. DEP will maintain a list of approved modular structures on its well site. These modular aboveground storage structures are often preferred by operators since they reduce the footprint of a well pad and allow for storage that can be assembled and disassembled quickly as needed. Operators may submit a “Request for Approval of Previously Approved Alternative Waste Management Practices” form (OG-71B) to use a pre-approved modular aboveground storage structure that appears on the list. DEP partnered with the Pennsylvania Emergency Management Agency (PEMA) to develop, “Guidelines for the Development and Implementation of Oil and Gas Well Site Integrated Contingency Plans for Unconventional Well Sites.” This guide instructs unconventional oil and gas operators how to consolidate multiple emergency/contingency planning requirements into a single document. Prior to this, operators routinely submitted multiple emergency and contingency plans to both agencies to meet various regulatory and statutory obligations. This guide covers multiple factors related to regulated substances, accident prevention, mitigation, and response at well sites. It contains critical information for first responders, a site-specific plan, and a core emergency response plan as well as regulatory references and forms for emergency response field use. This single-plan approach is intended to minimize duplication of effort and standardize the format of emergency response information and preparedness, prevention and contingency plans. An Integrated Contingency Plan prepared in accordance with this document will satisfy requirements of multiple DEP regulations and guidance documents and is the preferred method of such planning for unconventional oil and gas well sites. The draft proposed version of this policy was presented to the Oil and Gas Technical Advisory Board on April 13, 2017. In response to public comment, DEP implemented several changes to the “Guidelines for Implementing Area of Review (AOR) Regulatory Requirement for Unconventional Wells” technical guidance document (TGD) that was published in the Pennsylvania Bulletin as interim final on October 8, 2016, with a 60-day public comment period concluding on December 7. The TGD can be viewed here. The document was developed through a multi-stakeholder technical workgroup effort, and DEP received and evaluated 11 comments. DEP is currently drafting a Comment and Response document. The Oil and Gas Technical Advisory Board (TAB) voted unanimously at its November 1, 2017 meeting in support of publication of the interim final TGD. DEP intends to publish the guidelines as final in the Pennsylvania Bulletin in 2018. The purpose is to inform those engaged in hydraulic fracturing activities on complying with the requirements of the Clean Streams Law, the 2012 Oil and Gas Act, 25 Pa. Code Chapter 78a, and other applicable laws. This policy is developed to facilitate appropriate risk mitigation for unconventional well operators and includes a risk-based classification system for offset well locations and commensurate levels of monitoring; sections addressing communication incident management, reporting, and resolution; and operational alternatives and technical considerations for different anticipated scenarios. This policy also provides an outline of DEP’s well adoption permitting process. This guidance has been developed to facilitate appropriate unconventional well inactivation and re-entry procedures in advance of, and subsequent to, longwall coal panel removal. This will allow for continuous isolation of gas from workable coal seams, protection of mining personnel, and prevention of pollution of the waters of the commonwealth, consistent with applicable law. The “Guidelines for Chain Pillar Development and Longwall Mining Adjacent to Unconventional Wells” TGD was published in the Pennsylvania Bulletin as interim final on December 16, 2017, with a 45-day public comment period concluding on January 30, 2018. Click here to view the interim final TGD. The guidelines are primarily aimed at ensuring safe operations when longwall mining is taking place adjacent to completed unconventional wells, and could serve as an international model. Two individuals submitted comments, which DEP is currently evaluating. DEP and the TAB Coal-Gas Coordination Subcommittee have been developing the interim final TGD since March 2016. Successful development of the TGD involved a significant effort with multiple stakeholders, including the DEP Bureaus of Oil and Gas Planning and Program Management, District Oil and Gas Operations, and Mine Safety; the U.S. Mine Safety and Health Administration and the National Institute for Occupational Safety and Health; as well as representatives from the oil and gas and mining industries. TAB voted unanimously at its November 1, 2017, meeting in support of publication of the final TGD. DEP has been in communication with other Appalachian basin partners, including Virginia, West Virginia, Tennessee, Maryland, Ohio, and Kentucky, and intends to publish the guidelines as final in 2018. DEP published a report on February 17, 2017, that found that seismic events that occurred in western Lawrence County in April, 2016, were likely correlated to natural gas hydraulic fracturing. On April 25, 2016, a series of low-magnitude earthquakes occurred in North Beaver, Union, and Mahoning Townships that showed a marked temporal/spatial relationship to hydraulic fracturing activities at a nearby unconventional natural gas development well pad that had begun hydraulic fracturing and stimulation activities. The Pennsylvania Seismic Network registered four earthquakes. The final magnitude of the earthquakes ranged from 1.8 to 2.3 on the Richter Scale, putting them in the category of microseismic events, which are likely to go unnoticed by humans and only recorded by sensitive seismic monitors. The operator of the nearby unconventional natural gas well pad used a technique known as “zipper fracturing,” or hydraulic fracturing operations that are carried out concurrently at two parallel and adjacent horizontal well bores. The four wells on this well pad target the Utica formation and have an average true vertical depth of 7,900 feet. When DEP contacted the operator, they immediately volunteered to stop activities and later reported they would discontinue hydraulic fracturing and stimulation operations at the well pad. The report outlined a DEP-approved plan for the operator to monitor and respond to seismic activity associated with the Utica Shale formation gas wells in North Beaver, Mahoning and Union Townships. DEP recommends that other operators in this area discontinue the practice of zipper fracturing during any future completions when the distance between lateral portions of adjacent wellbores is less than a quarter mile. DEP also recommends other operators in this area adopt a seismic event reporting schedule and response plan. Click here to view a webinar discussion about these seismic events. The Pennsylvania Grade Crude Development Advisory Council (CDAC) was established when Governor Wolf signed Act 52 into law on June 23, 2016. 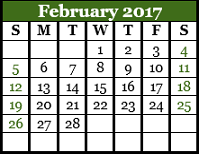 The first meeting of CDAC occurred on February 21, 2017 and the council met two additional times during the year. Although DEP is a voting member of CDAC, the law did not assign this council to function under DEP. The Department of Community and Economic Development (DCED) provides administrative support and technical assistance to the council to carry out its duties. The council is authorized to “examine and make recommendations regarding existing technical regulations promulgated under 58 Pa. C.S. (relating to oil and gas), and policies implemented by DEP that impact the conventional oil and gas industry of the Commonwealth of Pennsylvania.” CDAC is also responsible for other duties and serves to promote the long-term viability of the conventional oil and gas industry. DEP consults with CDAC on all policies and technical regulations promulgated under 58 Pa. C.S. ; relating to oil and gas.